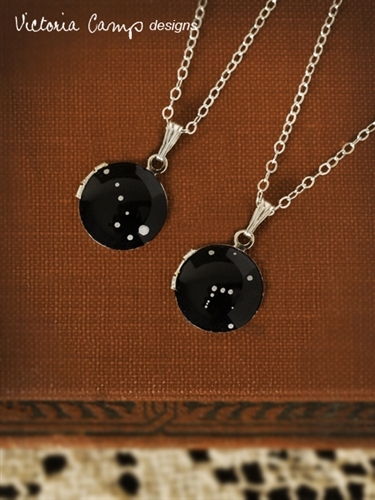 Wear your star sign or the sign of someone you love close to your heart with this unique Custom Zodiac Constellation necklace, featuring your choice of constellation hand-painted onto a tiny vintage silver locket! 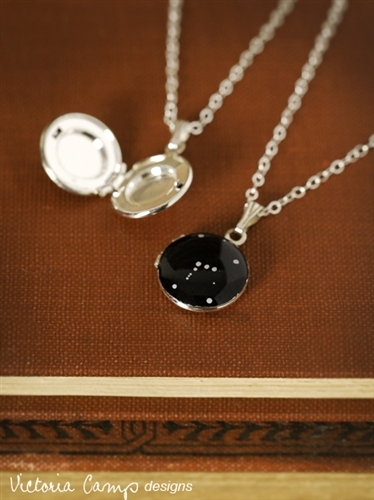 The tiny constellation locket is made of a vintage brass locket that has been newly plated in silver, measuring a dainty 1/2-inch/1.25cm. 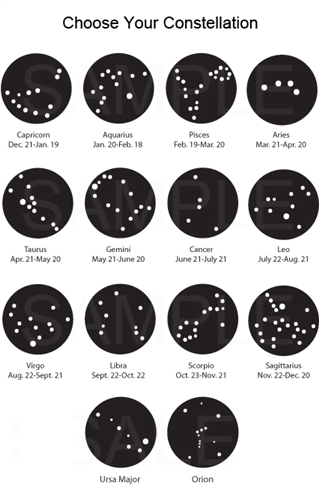 I will hand paint your constellation on the front of the locket, and protect it with jeweler's resin. It is water resistant, but not waterproof - please take care to keep your necklace dry. Chemicals such as chlorine, hair spray, etc. can shorten the life of your jewelry. The locket comes on a petite sterling silver chain, in your choice of length up to 20-inches/51cm. 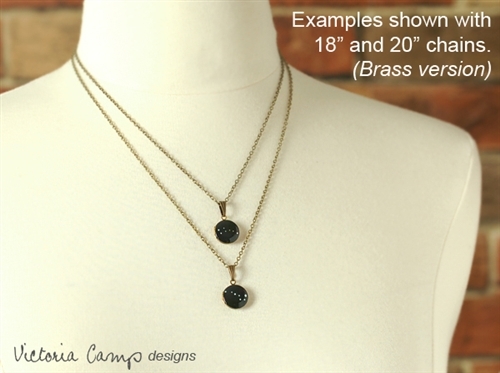 You may choose a chain finish - either shiny silver or oxidized (darkened) silver. 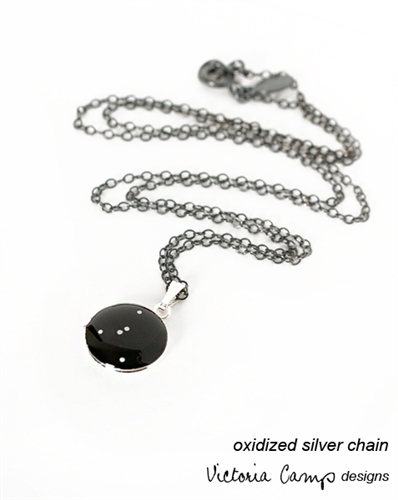 If you do not specify a length and finish, your locket will be sent on an 18-inch shiny silver chain. The dress form in the 4th photo shows two sample constellation necklaces in 18-inch and 20-inch lengths. They look great layered!